Whitworth has landed once again on Forbes’ annual rankings of the top undergraduate institutions in the United States. Whitworth joins some of the most prestigious schools in the country in the magazine's latest rankings, where it is listed as one of the top 10 private schools in the Pacific Northwest. The list is posted on Forbes’ website and will appear in an upcoming issue of Forbes magazine. The magazine, which says its rankings are consumer-oriented and emphasize financial prudence, bases its rankings on criteria including quality of teaching and career prospects, graduation rates, and levels of debt upon graduation. The rankings are prepared exclusively for Forbes by the Center for College Affordability and Productivity, a Washington, D.C.-based think tank. Williams College tops Forbes’ 2014 list, followed by Stanford University, Swarthmore College, Princeton University, Massachusetts Institute of Technology and Yale University. Of the 650 schools listed, Whitworth is ranked No. 231 overall and No. 42 in the West, making it the fourth-highest ranked school, public or private, in Washington state. Other private schools in the Pacific Northwest that made the overall rankings include Whitman College (No. 47), Reed College (No. 46), the University of Puget Sound (No. 181), Willamette University (No. 130), Gonzaga University (No. 238), Pacific University (No. 276), University of Portland (No. 171), Seattle University (No. 238), Pacific Lutheran University (No. 264), Linfield College (No. 240) and Seattle Pacific University (No. 326). Forbes’ rankings are based on five general categories: post-graduate success, which evaluates alumni pay and prominence; student satisfaction, which includes professor evaluations and freshman-to-sophomore-year retention rates; debt, which penalizes schools for high student debt loads and default rates; four-year graduation rate; and competitive awards, which rewards schools whose students win prestigious scholarships and fellowships such as the Rhodes, the Marshall and the Fulbright. 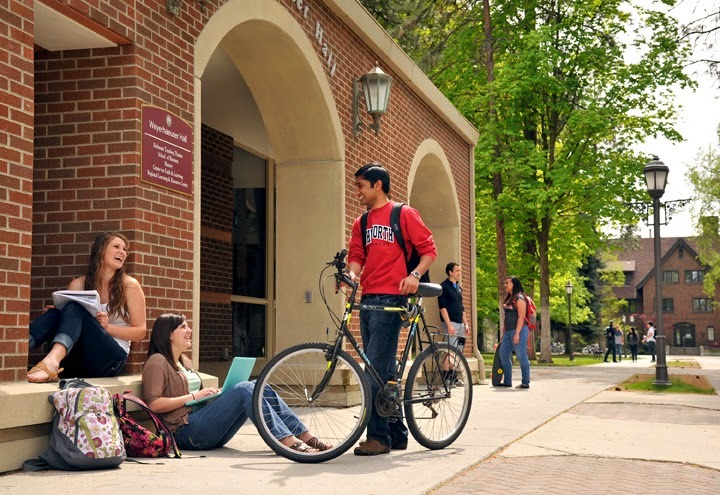 Whitworth will award more than $45.7 million in grants and scholarships to undergraduate students in 2014-15. 99% percent of incoming freshmen will receive financial aid, and the average freshman financial-aid award is nearly $30,403. The percentage of Whitworth graduates who finish in four years is 85 percent, well above the national average. The university has a low student-faculty ratio of 11-to-1, even as undergraduate enrollment has risen. Steep increases in tuition and fees at many public institutions, as well as a longer average time to graduate, make four-year completion rates an increasingly important factor in estimating college costs; these factors directly affect variables such as average debt load. In 2014, Whitworth produced six Fulbright scholars, a record number for Whitworth, which has a long-standing tradition of producing Fulbright Scholars each year. Since 2000, 23 Whitworth students have been selected as Fulbright scholars; in addition, four faculty members and one professor emeritus have received Fulbright fellowships in recent years. Other notable Whitworth students include Sarah Gady, ’16, who was accepted into an internship program at the NASA Space Academy at Glenn Research Center, in Cleveland, Ohio. Gady says that Whitworth’s faculty and students have played a pivotal role in building her confidence to pursue a career in her chosen field. “I know that wherever I’m called,” Gady says, “my professors will always support me.” Whitworth Professor of Physics Kamesh Sankaran encouraged her to apply for the NASA internship. After graduating in the spring, biology major Ingrid Sub Cuc, ’14, returned to her native country of Guatemala to work at Cultural Survival, in Quetzaltenango. She translates oral and written information about indegenous community radios, and writes articles for publication in the Cultural Survival Quarterly. “Cultural Survival, in Guatemala specifically, works to empower indigenous communities to fight against the political and social limitation that threatens indigenous radio programming,” Sub Cuc says.